Northfield, MN —Vintage Band Festival 2016, July 28-31 in Northfield, MN, will feature four days of non-stop brass and wind band music, but it will also be an occasion to witness historic achievements, meet internationally renowned artists and interact with hundreds of musicians and their families. Read on to learn about two of the highlights of this year’s festival. Friedemann Immer will be a special guest trumpet soloist at Vintage Band Festival 2016, joining the Kentucky Baroque Trumpets under the direction of Don Johnson. Friedemann Immer, born 1948 in Duisburg, Germany, is one of the best known Trumpeters in the musical world. Early in his career he specialized in the playing of the Baroque Trumpet and played with orchestras such as Concentus Musicus Vienna, Freiburg Baroque Orchestra, Academy of Ancient Music Berlin, Musica Antiqua Cologne, la Stagione Frankfurt, Academy of Ancient Music London, Boston Baroque and Aston Magna USA . He has worked with conductors Nikolaus Harnoncourt, Frans Brüggen, Thomas Hengelbrock, Ton Koopman, Philippe Herreweghe, Marcus Creed, Martin Pearlman, Ivor Bolton, Christopher Hogwood and Hellmuth Rilling. Immer has made over 200 recordings and appeared many times on radio and television. This includes more than 10 recordings of J.S.Bach´s second Brandenburg Concerto on period instruments. Friedemann Immer was invited – as a soloist and with his “Trompeten Consort Friedemann Immer” – to the Historic Brass Symposium in Amherst, Massachusetts (1995) and New York City (2013) and to several International Trumpet Guild Conferences, the last one in 2014 in Valley Forge/King of Prussia, Pennsylvania. This is his first visit to the Vintage Band Festival. 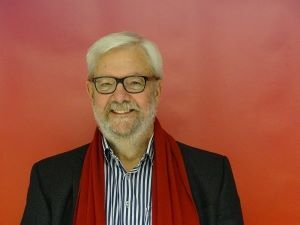 Friedemann Immer is Professor for Baroque Trumpet at the Hochschule für Musik und Tanz Cologne, Germany, and at the Royal Music-Academy in Copenhagen, Denmark. He taught 20 years at the Sweelinck Conservatorium in Amsterdam. In addition to these activities he continues to give master classes all over the world. Three years of work and the Northfield tuba mentioned in the article “Trash to Treasure” (Northfield News, 8/5/13) has come back to 1st Brigade Band to begin a new life in 2016! Nancy Campbell-Pierce has done a wonderful job restoring this irreplaceable part of history. 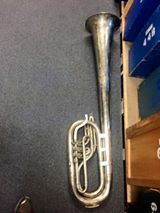 This horn was spotted in a Division Street shop window in by Doug Condon and Elsa Condon, members of 1st Brigade Band of Watertown, Wisconsin, while in Northfield, MInnesota for Vintage Band Festival 2013. The two talked with the shop owner, Devin Johnson. Mr. Johnson had found this piece of musical history in a Twin Cities scrap yard about to be melted down. The shop owner purchased the scrap and was going to make jewelry out of the parts. Doug and Elsa Condon saw the importance of the instrument and with impeccable timing, persuaded Bandmaster Jon Condon and the instrument curator of the band, Dan Woolpert, to negotiate the preservation of the instrument with the shop owner. 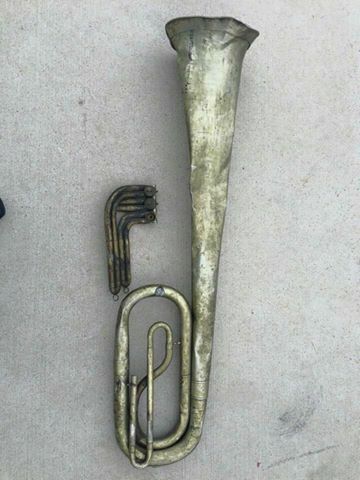 1st Brigade Band will have this instrument in playing condition for their return trip to Northfield for Vintage Band Festival 2016, July 28-31. For more information about this amazing instrumental transformation or to interview the musicians involved in the process, please contact Doug Condon manager@1stbrigadeband.org, phone 920-342-6361. This entry was posted in Uncategorized, VBF News, Vintage Instruments on July 10, 2016 by Dan Bergeson. (Northfield, MN) – Northfield, located in southern Minnesota — known for its appreciation of music and history — has become a travel destination within the Midwest sought out for its authentic experience. The Vintage Band Festival, to be held July 28-31, will be the highlight of the summer as it welcomes re-enactment bands from across the US and abroad to “dust off their horns and old sheet music” and bring music to life — in all of its glory — from days gone by. The international festival boasts 100 concerts at outdoor parks, performance stages, dining establishments and pubs in the picturesque river town of Northfield and at a multitude of festival concert sites in nearby communities. Find a full schedule of “living history” performances, auxiliary events and attractions, plus a sample travel itinerary for discovering more treasures in southern Minnesota, at www.vintagebandfestival.org. The 1st Brigade Band, from Watertown, Wisconsin, dressed in navy blue uniforms takes as its inspiration the eighteen men from the Brodhead Brass Band who enlisted in the Union Army in 1864 as the Band of the 1st Brigade, 3rd Division, 15th U.S. Army Corps. They served under the command of General William T. Sherman. After locating and restoring dented and broken instruments and reconstructing torn music sheets, the 1st Brigade Band continues this musical legacy from 150 years ago. This will be the third time this band has performed at the Vintage Band Festival. Another ensemble which will relive music of the 19th Century is the Independent Silver Band (ISB) of Mount Vernon, Illinois. Back in its heyday, the community enjoyed “first class entertainment and boundless enjoyment” as the ISB played for “balls, picnics, parties, political rallies, and more.” By bringing together interested brass players and percussionists from Mt. Vernon and surrounding cities and towns in southern Illinois, William L. Reynolds created a proper team of dedicated persons who could provide the chance to hear the music of a bygone time. With their very stylish green uniforms, unique helmets, and a complete “show” with narration, they will be coming to Northfield to entertain for a second time. 19th century brass bands have been described as having sweet and mellow intonations, but to have survived and flourished in a time of great conflict within our country, the music served a broader, brasher purpose that uplifted the morale of its people during an era of clashing dissonance. This unforgettable time would become a defining part of our national heritage and have a pronounced and resounding effect on the history of music in America today. 2016 is also within the centennial period of World War I and some bands will honor this history and present an additional focus for the Festival. A highlight will be an outdoor Victory Dance with the Buddy Koopmans Swing Orchestra on Saturday night. While the bands will perform individual concerts on all of the Festival days, on Saturday, July 30th, the Battle of the Bands takes place at noon on the Riverfront. Many community bands from all over Minnesota will also be included in the schedule each day. Evening entertainment will include appearances by Copper Street Brass, Jack Brass Band and Banda La Verdadera, all well-known professional ensembles from the metropolitan Minneapolis/St. Paul area. Brass bands have been important in Minnesota since the 1850s. The Great Western Band was active as early as 1858. The St. Anthony Brass Band played for the grand opening of the suspension bridge over the Mississippi in St. Anthony in 1863. In 1861, the Red Wing brass band played as they sent Civil War volunteers to Fort Snelling. When the soldiers returned after the war, they were greeted by the Great Western Band at the St. Paul Train Station. A group from the Vintage Band Festival, The Manitou Regimental Band, played in 2015 for a reenactment of the return of Minnesota troops from the Civil War arriving on a paddle wheeler at Fort Snelling. For more information on how the pages of history turn as the musical faintness has been captured in the wafts of distant winds and brought into the present, visit the Vintage Band website at www.vintagebandfestival.org. The 2016 band roster and complete schedule of events is located there. Find Vintage Band Festival on Facebook at “Vintage Band Festival” and Twitter at @vintagebandfest. This entry was posted in Historical Narratives, Uncategorized, VBF Bands, VBF News, Vintage Instruments on July 6, 2016 by Dan Bergeson. For more information contact Jan Stevens (sstevenshome@yahoo.com ; 507-244-0500). Northfield, Minnesota—On Saturday, April 9, 2016 at 3:45pm at the Northfield Retirement Center and again at 7:00pm at the Northfield Senior Center, Vintage Band Festival presents “Fife and Drum Experiences in the Civil War.” The public is invited to experience the stirring sounds of traditional fife and drum music as it was played in the United States Army during the American Civil War. Two 45-year members of the state’s premier Civil War re-enacting unit, the First Minnesota Volunteer Infantry, will explain and demonstrate the instruments and various calls, signals and martial airs that were an essential part of the daily life of all Minnesota’s volunteer soldiers 150 years ago. The men will be wearing authentic copies of original clothing and accessories. John Guthmann and Jim Moffet will recount how they found an annotated original music book in the collection of the Anoka County Historical Society that has proven to be instrumental in the ongoing musicology of this segment of American folk music. The book was written by George Bruce and Dan Emmett and is titled “Drummers’ and Fifers’ Guide”. “Fife and Drum Experiences in the Civil War” is presented by Vintage Band Festival, a 10-year old organization dedicated to showcasing vintage brass and wind music in Northfield and other southern Minnesota communities. 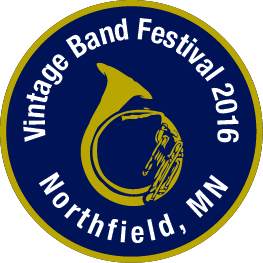 The next Vintage Band Festival will be held July 28-31, 2016 in Northfield. This entry was posted in Fundraising, Historical Narratives, VBF News, Vintage Instruments on March 28, 2016 by Dan Bergeson.